Baby Touches Genital Area - Normal Or Should I Stop It? 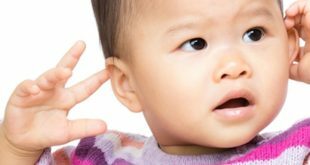 Home > Baby Helpline > Baby Development Questions > Baby Touches Genital Area – Normal Or Should I Stop It? 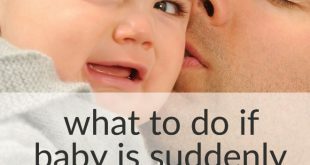 Baby Touches Genital Area – Normal Or Should I Stop It? Our baby is seven months old and it seems that he likes to kick his leg in such a way that he rubs his genital area. He doesn’t do it all the time but I’d like to know, is this normal behavior or do I need to do something to stop it? He does seem to receive some stimulation from it. He is a truly charming and beautiful baby, and I just want to know if this is normal behavior? Thanks! Baby Seems Stimulated By Touching Private Parts – Normal? Your question is a great one and one many parents are a bit shy about asking, so thank you! Babies are sexual and sensual creatures, it is perfectly normal for a baby boy to get an erection and little girls too, get sexually stimulated. It is, however, not at all sexual in the way we as adults refer to it, but totally innocent and shows your baby is gaining control of his body, in that he has figured out he can do certain movements that feel pretty nice! Some babies and children even rock or wriggle themselves off to sleep with these lovely feelings! As our little ones get a bit older, we teach them that some activities are private and we prefer them not to do it in public. But your little boy is way too young yet. The most important thing is not to make him feel bad about his body and his responses. Parents that make a big fuss about it and say no, or smack hands away, or say yucky etc are teaching their children that their bodies and feelings are bad. Your little boy is perfectly normal and healthy and it is really good for him to kick without clothes on, as it develops the muscles better. If you are embarrassed when other people are around, you can always distract him with toys and attention and games such as peepo etc, or simply keep his diapers or pants on when there are people around. There will be so much to get his attention and for him to explore as he gets mobile, you needn’t worry he would become obsessed with this lovely feeling he can create so innocently. You can read here about another baby touching her private parts.